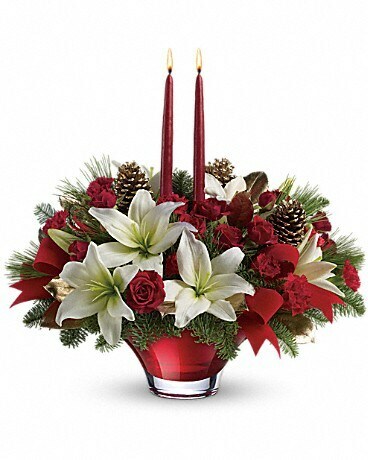 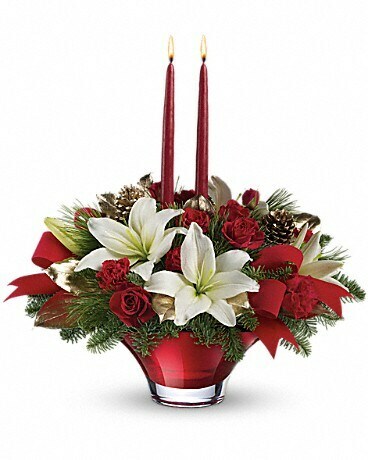 Elegant red tapers lend a festive glow to the snow white lilies and rich red roses of this gorgeous Christmas centerpiece, hand-delivered in a stunning hand-blown glass bowl. 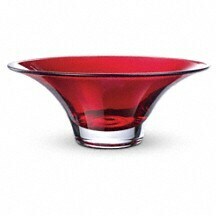 This expertly crafted hand-blown glass bowl is part of Teleflora's celebrated Flowers-in-a-Gift collection. 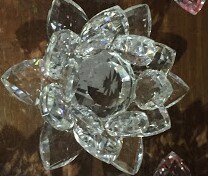 This lovely décor piece will be enjoyed throughout the years.